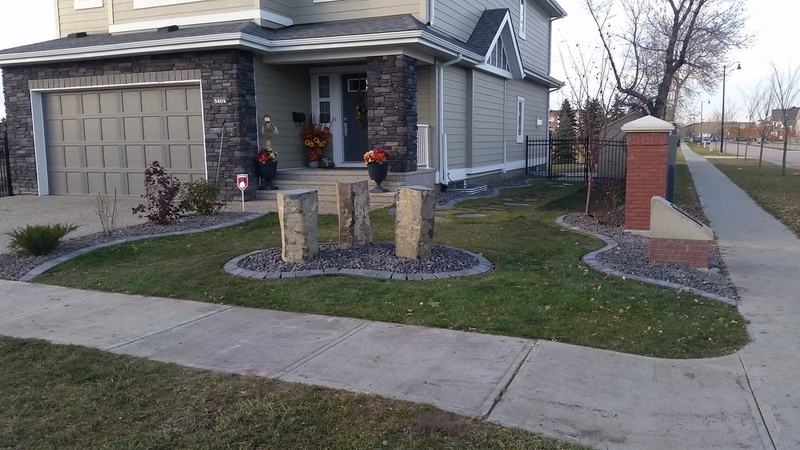 complete yard with front yard rock feature, stone patio and circle patio with retaining wall at side of yard. recessed patio area with retaining/seat wall, complete with pillars. Barkman Oasis Pillars with Ebony Accents. Barkman Kodah Retaining Wall. 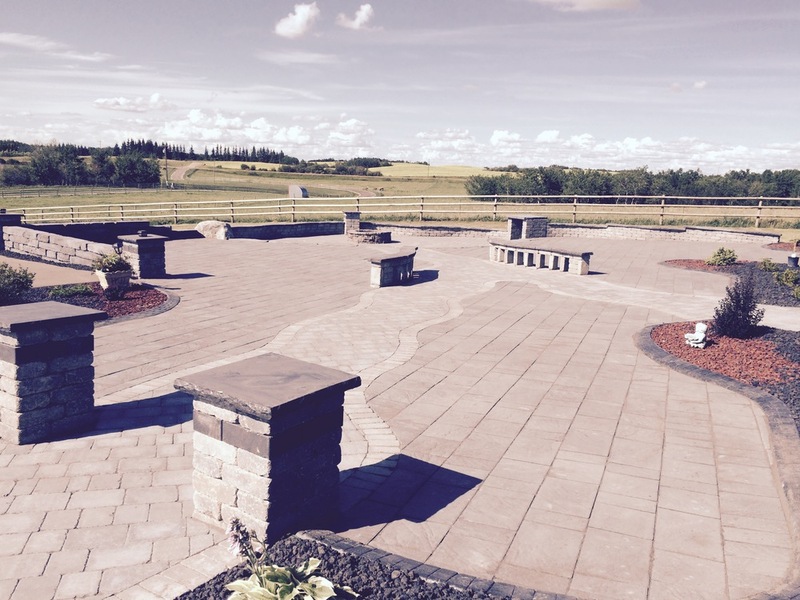 Endless views on this ranch set in the rolling hills of Alberta. Plenty of room to entertain all your friends. 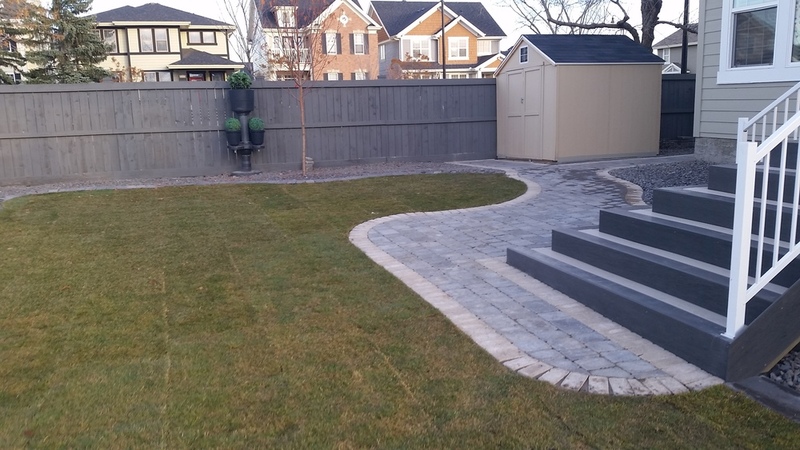 Barkman Belvedere Firepit, Barkman Kodah retaining wall in Pacific Grey. Barkman Oasis seating walls with Pacific Grey Dimensional Coping. Barkman Belvedere Firepit Copper Canyon. Oasis Wood Storage Box. 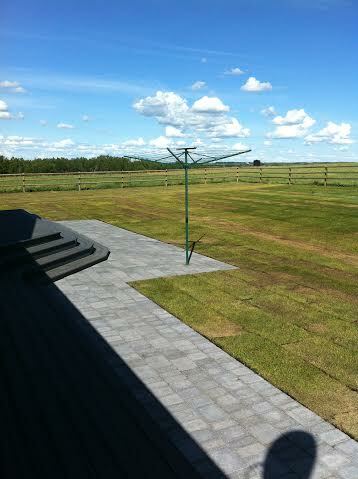 Backyard patio with Solar Powered clothesline. Feature boulder with horsehoe wall. Continuous Barkman oversized steps down to recessed firepit with seating walls and built in woodbox. 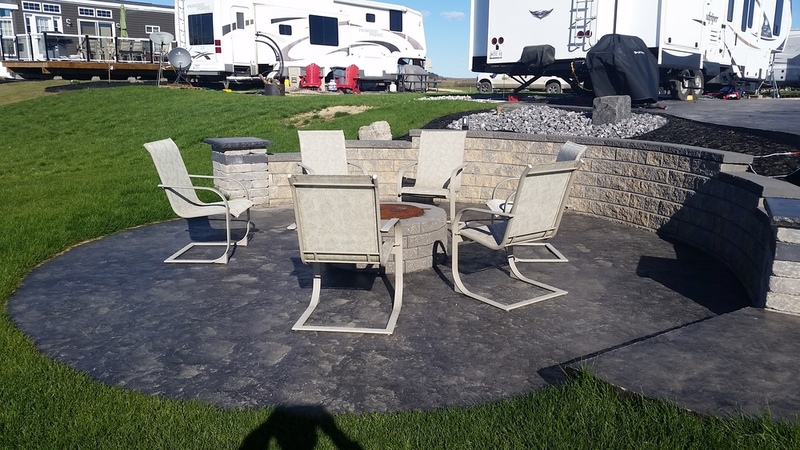 Entertainment Patio with conversation area and firepit area. 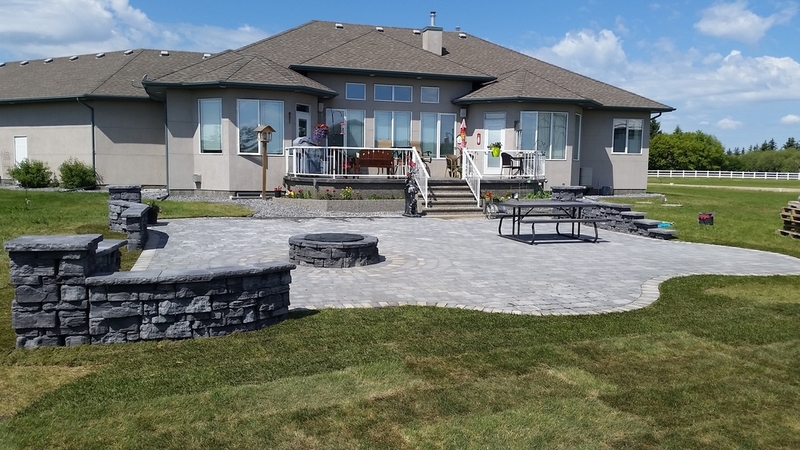 Acreage with patio and concrete curbed rock beds and life size chess board. 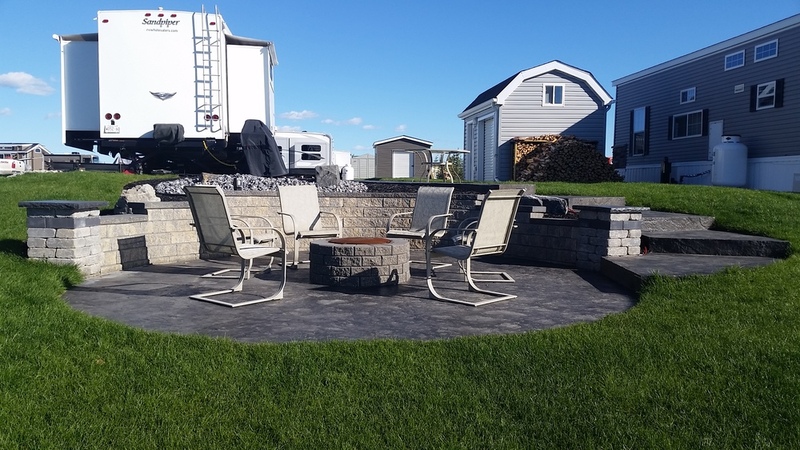 Barkman product, including tiered retaining wall with contrasting color coping and step, large multicolor custom circle patio with dimensional firepit. Raised garden beds and curved flower beds with mulch and decorative rock.